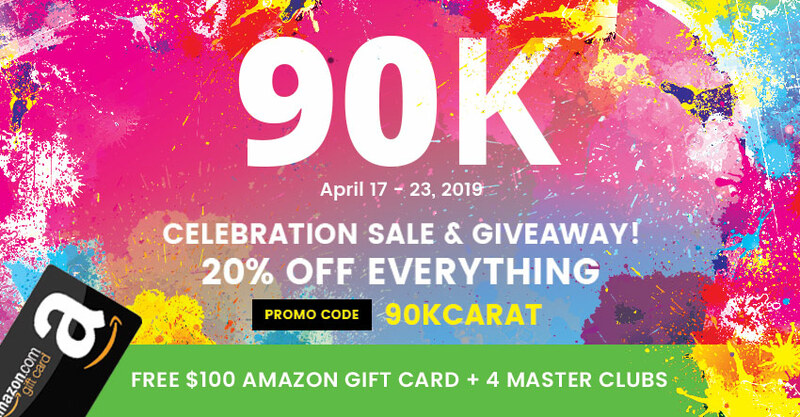 90K Celebration Sale + Giveaway! We’ve hit over 90,000 users (90,827 to be exact…)! So we’re celebrating with a sale and a giveaway to 4 lucky winners. We’d like to take this time to thank every single one of our members for your support, for telling your coworkers and friends about us, and for leaving the most radiant reviews on our Facebook page. We’re looking forward to launching our About Us page soon, so we can share a little more about ourselves and the team. Thank you again for allowing us to do what we enjoy. We look forward to seeing you on the other side of our Support Forum and emails! 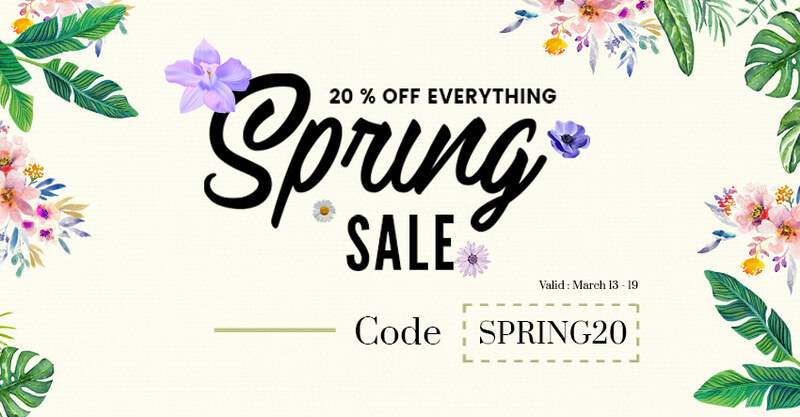 Spring Sale 2019 – 20% Off, No Exclusions! It’s been a tough winter for most us so we’re thawing our prices for you and your website to get out of hibernation. 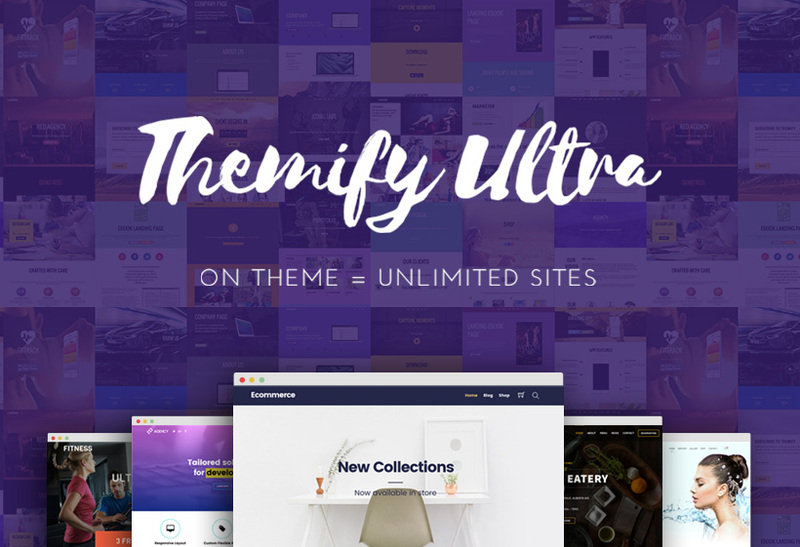 Revive your website with Themify’s Spring Sale! 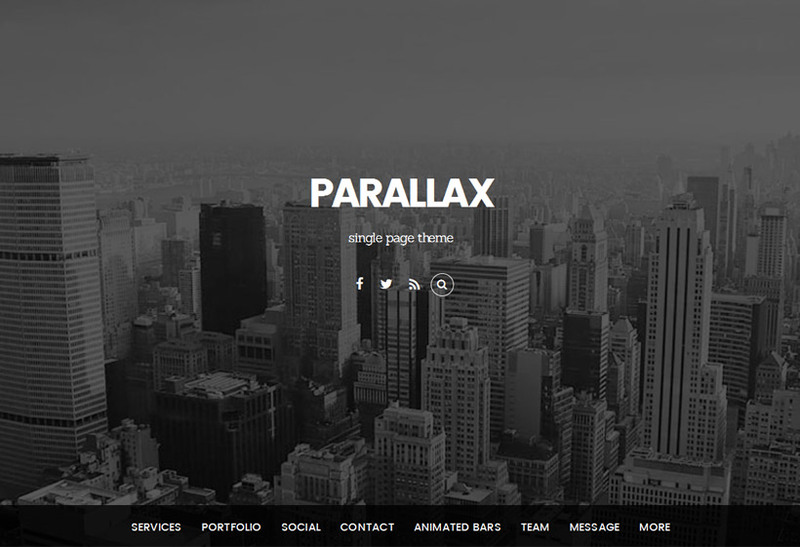 Find a new premium WordPress theme at a discount, load up on your favourite plugins, or renew your existing membership now. Valentine’s Day Sale – 20% Off Everything! Self-love is the best love! 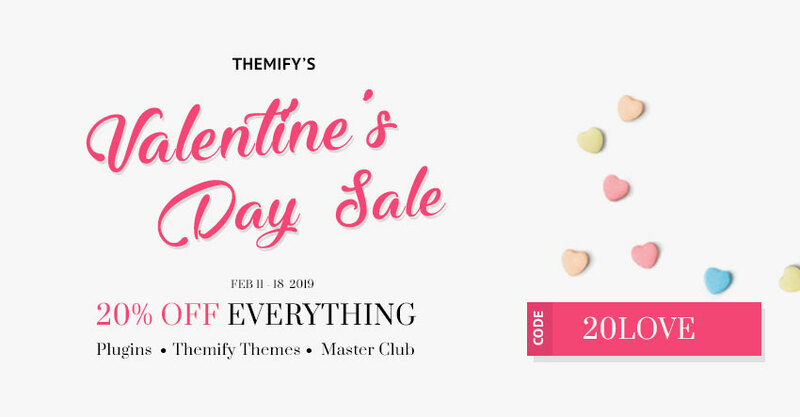 Revamp yourself and your website with Themify's Valentine's Day Sale. Take the next step by putting your goals and vision for your future first using our premium WordPress themes today! Have A Holly Jolly Christmas & 30% Off! Let it sale, let it sale, let it sale! Come out of the cold and sit by the fire of this hot deal. We hope our sale helps make things merry and bright, and that you are spending time with loved ones no matter what your holiday! Update: Congratulations to our lucky Black Friday/Cyber Monday winners! Black Friday deals for WordPress themes and giveaways in the tech world go into hyper drive this time of year. 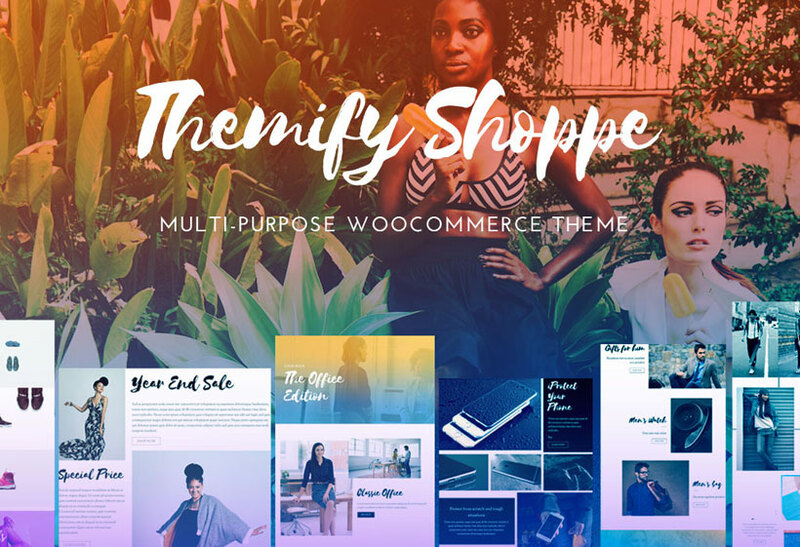 Don’t miss out on one of the top rated WordPress themes with Themify’s top offers of the year. 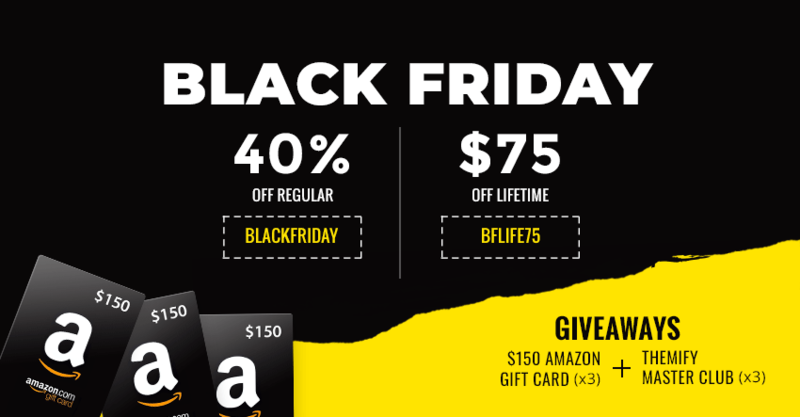 Take advantage of the 40% OFF sale, $75 OFF the Lifetime Club Membership, and a fantastic $150 Amazon Gift Card + Master Club Membership giveaway! 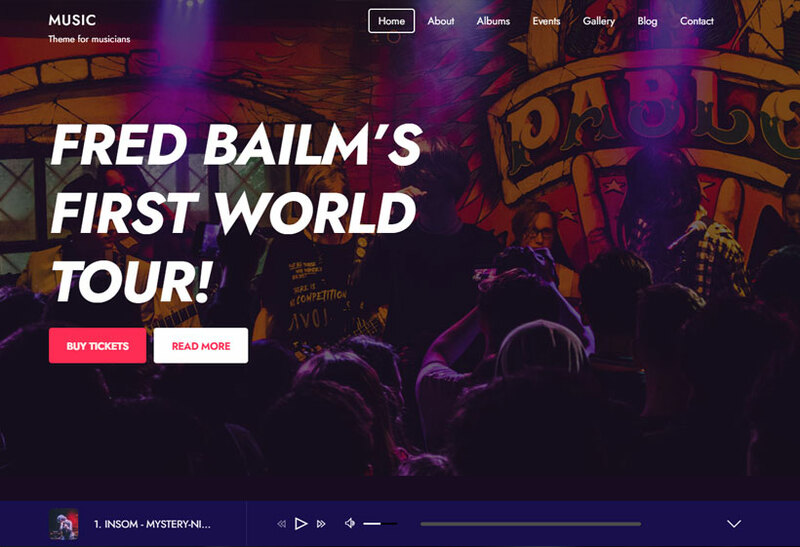 Fall is a time of change – leaves, weather, daylight, and websites! 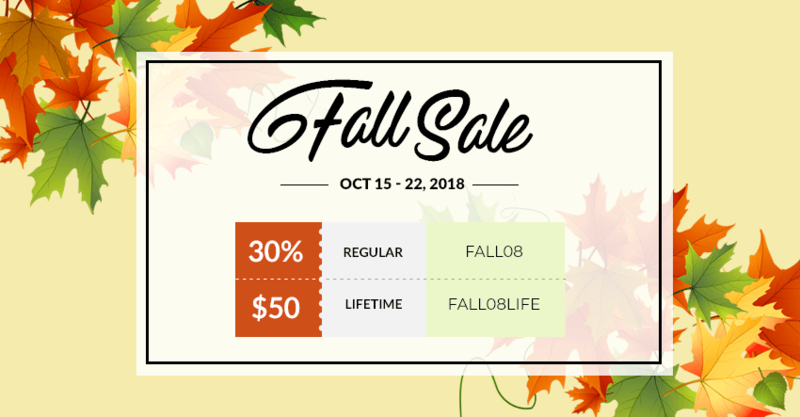 Take advantage of this cool break and change your online look with our Fall 2018 Sale.